Hollywood actress Kristen Bell is one of the biggest stars on the face of the Earth but, when it comes to her children, she is just their mum and they have someone else who they really look up to and admire. Kristen has revealed how she and her children love to sit down watch nature shows together, which has led to her children loving the British legend David Attenborough. Bell explained, "We watch a lot of nature shows. They love David Attenborough. We let them watch some cartoons on the weekends but mostly we sit down and watch nature shows together and talk about the animals.They always want us to freeze frame the animals and take pictures on our phone and then put it next to them so they can draw it. It's kind of great." As well as helping their children to learn more at home by watching such educational television, Kristen Bell also spoke about how she sends her children to a specialist nursery which focuses on teaching children about their emotional well-being and how to communicate their feelings in a better way. She added, "When the kids get physical with each other -- which they do because they're all feral at this point -- they teach them to say things like: 'I don't like it when you touch my body like that.' They say that to me: 'I don't like having my hair touched.'" 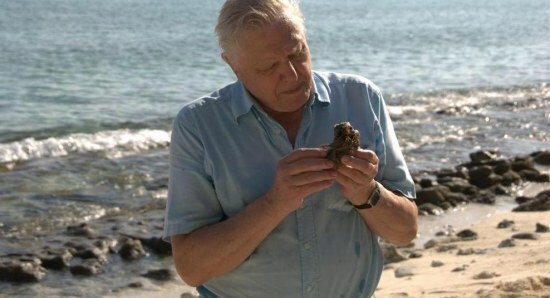 We have to admit they we also love David Attenborough, but then again, who doesn't?